A tad small- especially the bathroom, but it’s perfect for travelers! It’s an easy 15 min walk to the middle of the city. The room was clean and the towels were changed after the first night. I would highly reccomend!! Not perfect, but considering the price, I thought this place was great. Double room with ensuite, was a bit cramped but had all the essentials. The guy who checked us in was good, the girl who checked us out didn't really say anything. Lots of shops nearby, although about a 30 minute walk to the Grand Place. Would recommend to couples/duos, atmosphere is non-existent for solo travellers. This was a good night's stay very central in Brussels. The room we received was very small, the bathroom even smaller but the bed was extremely comfortable. The location was great, about 20 minutes walk in to the tourist sites, however the walk from the train station is all up hill! Perfectly serviceable if you're traveling as a couple on a budget (or are just incredibly antisocial) and don't mind that the rooms are a bit cramped and the beds not super comfortable/a little broken. 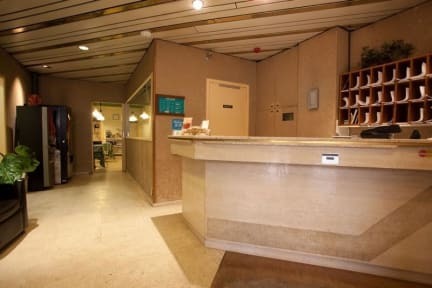 If you're looking for a backpacker/hostel experience, this is not the place for you - but if you want a room to yourself this works. The room was small but reasonable enough for a short stay trip. That said, our bed dipped significantly in the middle and the pillows were completely impractical, making sleeping difficult. The bathroom was dark and cramped. Located near Metro 6 line and within walking distance of city centre, getting around was easy enough. A very central hostel with a kind staff. Unfortunatly the room had major issues: It smelled sewer in the room and I was about to burn myself with the shower, water was either very cold or very hot. Poor facilities for price paid. 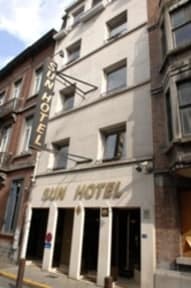 I stayed at Sun hotel for one night-single room. The furniture was of the lowest quality, cleanliness was rather bad. In terms of facilities, there was no hairdryer!, whereas some sockets were not working. Overall, not a value for money option. The location however is good.